Oh, the irony of dumping this trash pile next to a "No Dumping..." sign, about ten feet from a NYS Class I wetland. This pic is about 4 days old and the pile of trash has grown. Feel free to add to it? Yes, we are welcoming people to our community with a giant metal bin overflowing with trash. Imagine if we lived in Yorktown and they passed a law that regulated where these piles of garbage could be located. Oh, wait, we technically live in Yorktown. 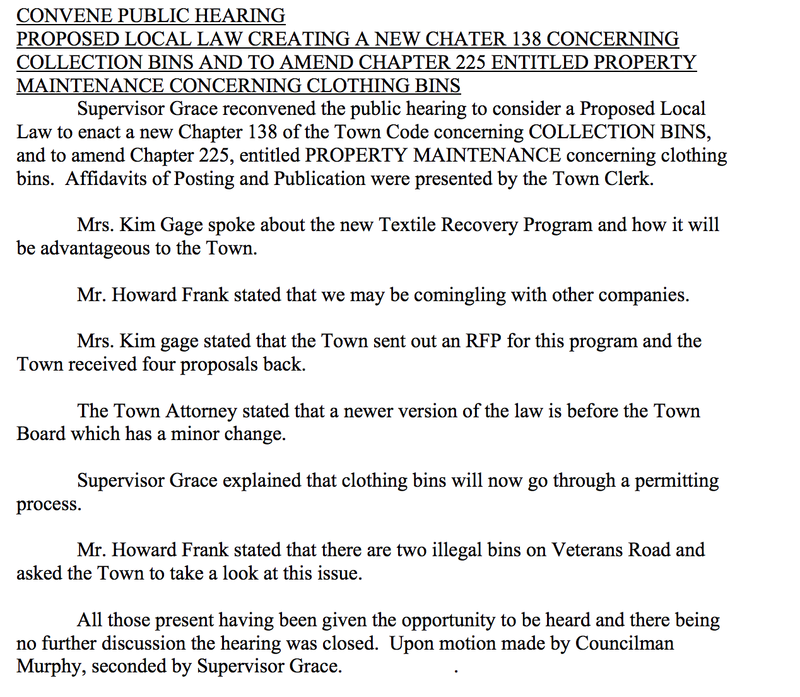 Oh, hey, the Yorktown Town Board actually did pass a very good law requiring permits for the placement of said metal monstrosities and garbage piles, but we live in Mohegan Lake so perhaps there is an exemption carved out in the law for this part of the Town of Yorktown. 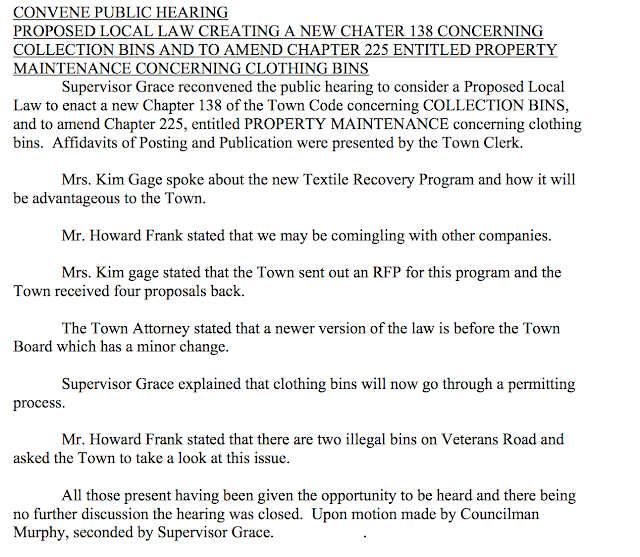 Below is the Town meeting minutes of the meeting where the public hearing on the law was closed and, presumably passed. Good work Town Board. So, you're saying to yourself: "Save Mohegan Lake, but I'm only one person, there's no way I can affect positive aesthetic change in my neighborhood. There's no way to fight against our new overlord/giant metal bin overflowing with trash--even if it's placed in a protected wetland without a permit; the goggles NYS Department of Environmental Consulting does nothing." Email YorktownCode@Gmail.com with your results. Wow. So it's been a while; slightly more active on the facebooks. Had some personal issues come up and won't be able to talk about them for some time. Unimportant though, considering The 2017 (5th annual) Mohegan Lake Ice Skating (and fishing) extravaganza is upon us. Sure, we got some skating in over Christmas, but it's been so warm. Thankfully, it looks like the good lord is bringing the big chill back our way. We're probably going to pull out a generator and some lights and play hockey on Saturday night with this forecast. Won't you join us? None of us really know how to play that well; perhaps you can teach us. Feel free to consult the ice growth charts here.